The Colt Clavier collection of historical keyboard instruments will be offered on June 7 in a sale held by Canterbury Auction Galleries in association with London specialist Piano Auctions. 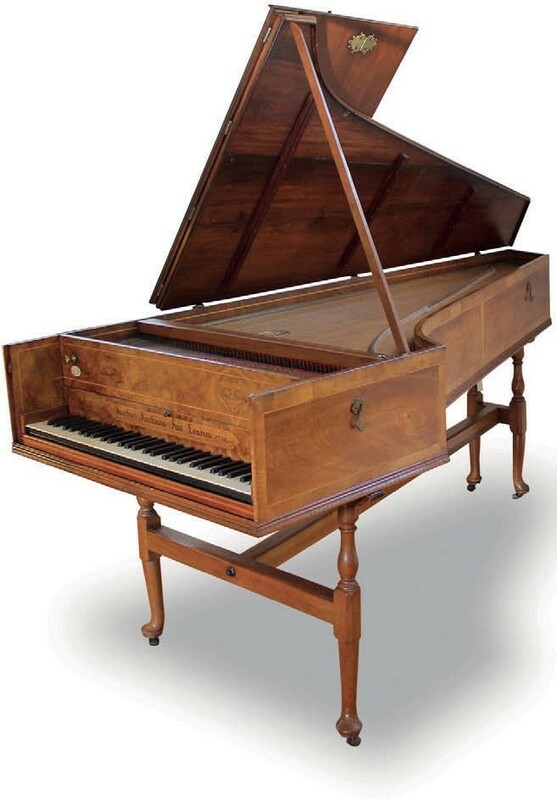 A single-manual harpsichord in walnut cross-banded and inlaid case by Kirckman, London, 1750, estimate £30,000-40,000. The collection, one of the largest of its type in the country, was started in 1944 by Charles F Colt (1911-85), whose family fortune was made producing prefabricated timber houses. At its peak of more than 130 keyboard instruments, it was displayed at the village hall in Bethersden, near Ashford, Kent, and other buildings at the Colt Demonstration Village. With the death of Colt’s widow Lore, the site is now being redeveloped and it has been necessary for the trustees to consider the future of the collection that had not been maintained in recent years. Auction proceeds will be donated to musical charities. The sale will be on view at the museum site, The Colt Hall in Bethersden, from June 3-6. The sale takes place in Canterbury the following day. The 114 keyboard instruments, including the largest single accumulation of Broadwood pianos, will be sold with extra string instruments and chattels totalling 187 lots. Five instruments from the Colt Clavier collection were sold by Piano Auctions in London in April 2017. The sale is the third major collection of its type to appear at auction in recent years, following the Christopher Hogwood collection at Gardiner Houlgate in March 2015 and the Richard Burnett collection housed at the Finchcocks Museum in Goudhurst, Kent, at Dreweatts in May 2016.